Situated in Tamsui near the Tamsui Fisherman’s Wharf, the Hotel j - LongView Tamsui is a leisure hotel providing wonderful sceneries of Guanyin Mountain, Tamsui River, sunset, and historical Tamsui sites such as Tamsui Old Street, Little White House, Fort Santo Domingo, etc. With the vicinity to the Danshui Fisherman’s Wharf, guests may simply enjoy a romantic Taiwan travel by appreciating performances of the street artists, and taste various mouthwatering Tamsui snacks. Guests may also extend their Taipei travel by taking ferry to Bali for the notable Shihsanhang Museum of Archaeology and bike along the beautiful Bali Left Bank. 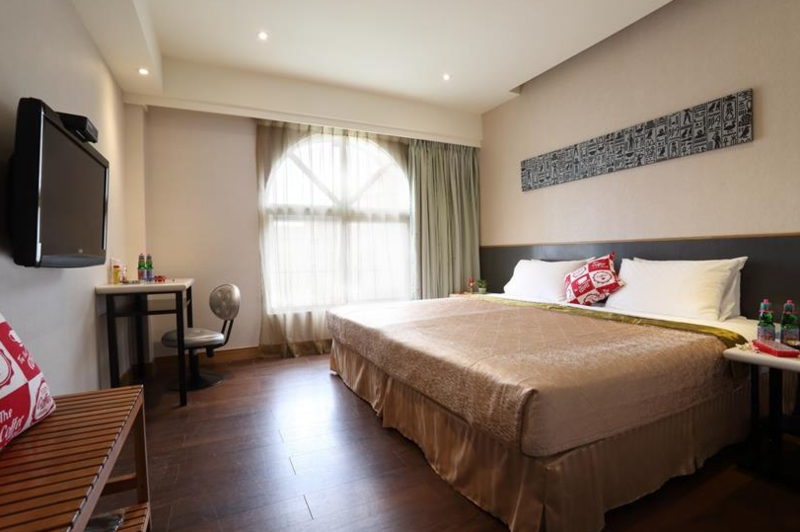 Guests may simply travel by the convenience in transportation including convenient access to Tamsui downtown bus stops and MRT Tamsui Station. Among Taipei hotels, the hotel boasts an ideal location for your Tamsui travel! Hotel j - LongView Tamsui features a fashionable building with stylish interiors. 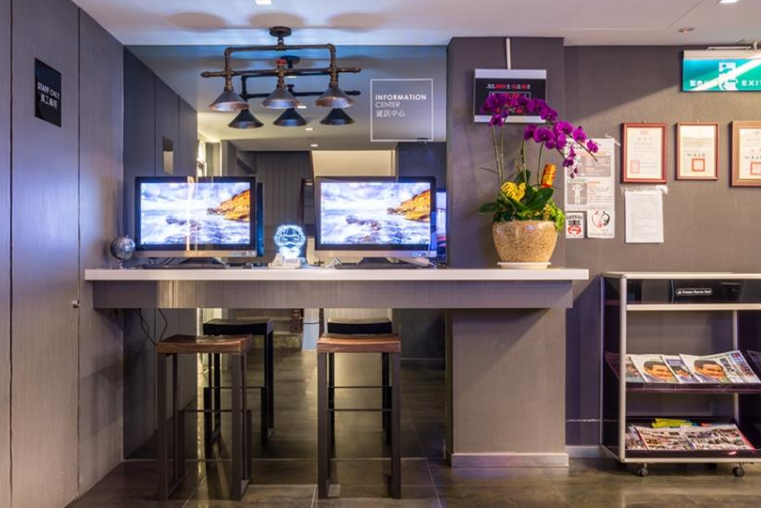 Each room is equipped with cable television, IDD telephone, mini fridge, coffee and tea making pot as well as the intimate bathroom amenities, hair dryer, and bottled water. For the convenience of all guests, the hotel provides complimentary shuttle services within Tamsui tourist attractions area, taxi summon service, and reservation services for restaurants, ferries, and birthday cakes! 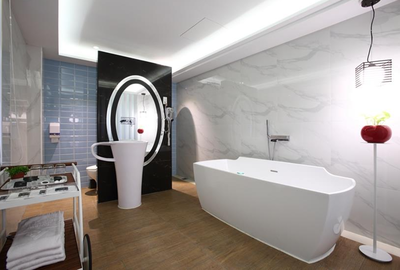 With exquisite accommodations and attentive services, you are to enjoy a wonderful Taiwan travel! 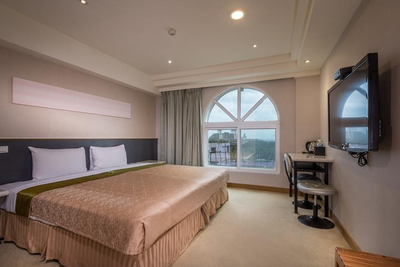 Surrounded by precious nature sceneries and interesting Tamsui attractions, the Hotel j - LongView Tamsui a wonderful place to relax and unwind. Enjoy a relaxing moment at the onsite restaurant for a cup of aromatic coffee, and explore Tamsui attractionsthrough the bike rental service provided by the hotel. Explore Tamsui historical attractions such as Tamsui Fisherman’s Wharf, Tamsui Martyr’s Shrine, Fort Huwei, Fort Santo Domingo, Little White House, and many more. 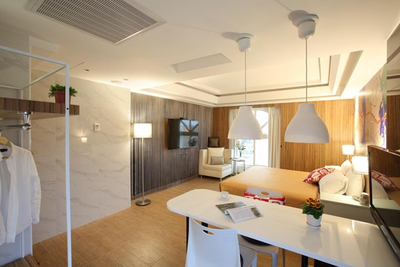 Hotel j - LongView Tamsui is your Taiwan hotel for exploring the cultures and histories of Taiwan! Through our online hotel reservation, you can reserve your accommodation at Hotel j - LongView Tamsui safe and secure. 1. Take shuttle bus from airport to Taipei Railway Station, and then transfer MRT to MRT Danshui Station. From MRT Danshui Station, take bus no. R26 and alight at Danhai bus stop. 2. 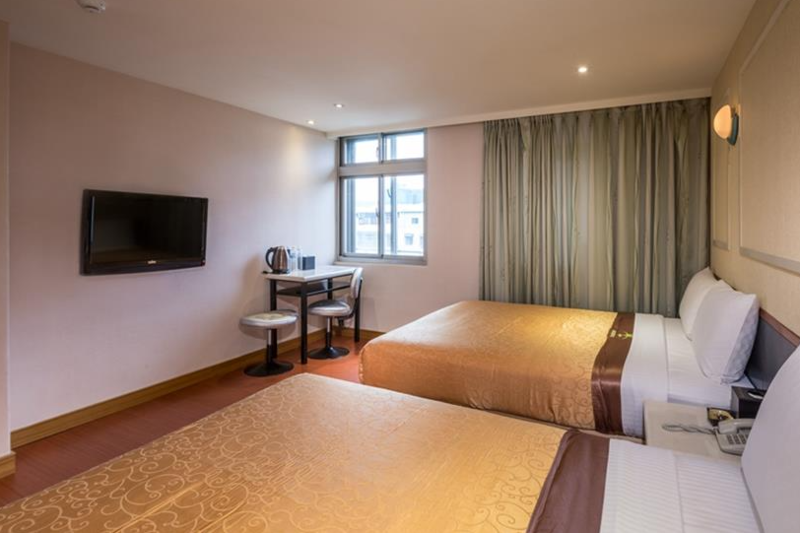 Long View Hotel may assist in arranging airport transfer service to/from the Taoyuan International Airport with a charge of TWD 900/sedan/one-way pick-up or drop-off. Note: Prices may be adjusted slightly without advance notices.